Come celebrate Mardi Gras with us by visiting each blog to see what Mardi Gras means to them. Participating blogs will be posting their own teasers or images they choose of Mardi Gras. 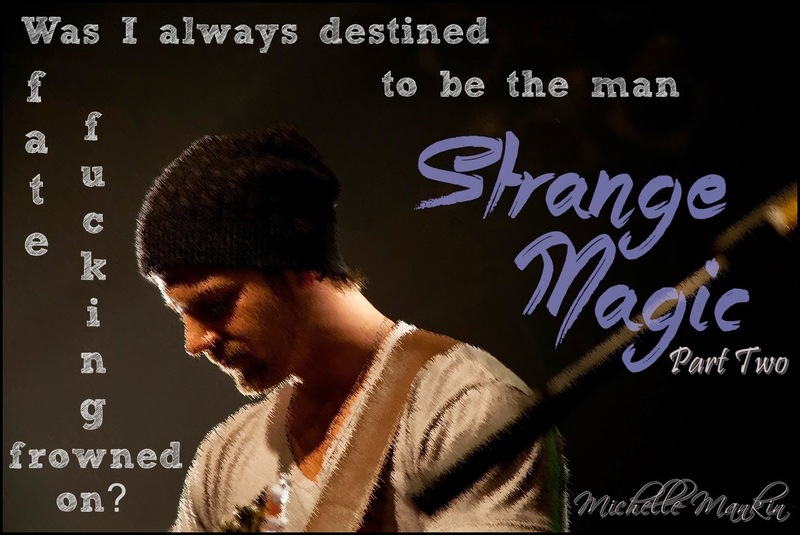 Take some time, visit, read the prologue excerpt, enter the giveaway and check it all out!Also, join the celebration of the release of the second and final book in the Strange Magic Series by Michelle Mankin! Billy Blade is a hardworking, hard living, razor sharp musical force. Mysterious behind his dark shades, the rough around the edges Texan mesmerizes with his haunting harmonica and tantalizes with his dangerous looks and smooth country charm. His latest album is topping the charts. He’s the newly crowned King of the Bacchus Krewe. He’s definitely living the rock star dream.Exotic Creole beauty Thyme Bellerose couldn’t be more content. She has it all. An adoring grandmother. A handsome Tulane medical student beau. A satisfying job in the heart of New Orleans’ French Quarter. Her life is as rich as the ice cream she creates. She’s got everything under control.But control is an illusion. Dreams can turn into nightmares. And now during Mardi Gras, otherworldly powers stand ready to shape their destinies in ways they could never imagine.Shadow and light. Magic and mystery. Reality and myth. All come together in a place where rules bend and lines blur. Even those between life and death. Please note: This is Part Two, the finale of STRANGE MAGIC. Available exclusively It does NOT stand alone. Part One must be read first.